When Tony told me that he would like me to deliver the address 'come the day', I agreed, secretly hoping that his well known attention to detail and insistence on accuracy, would include writing the script - but sadly he left that to me. That being the case, I shall endeavour tell you something about him, but with such a long and action packed life, I can at best, only skim the surface. We remember Tony as a Rambler extraordinaire - as a man of passion with an enduring love of the countryside and of the great outdoors. We remember him too, as a great campaigner, who achieved so much and who inspired so many - to work with him, for access on foot, for the enjoyment of our glorious countryside. Born on the 25 January 1923, Tony was the only child of Leslie and Gladys Drake. He was educated at Pates Junior School and at Wycliffe College, Stroud. At Wycliffe he joined the Scouts and relished outdoor pursuits. The Wycliffe boys enjoyed a fair amount of freedom. At weekends they took ferry trips across the River Severn for expeditions to the then remote and industrialised Forest of Dean, with its coal mines and iron works. This was a very different Forest from the green and beautiful place which is so attractive to tourists today. He was on a school expedition to the Mediterranean when World War 2 was declared. The party, undaunted, carried on and completed the trip. He left school at the age of 16 and entered the family business. Drakes was a significant department store, established in 1888, in Cheltenham by his grandfather. In order to train Tony for his intended ultimate role of proprietor of Drakes, he was sent to learn the business, starting at the bottom, at The Bon Marche, now Debenhams, in Gloucester. This business training seems to have been thorough because it stood Tony in good stead in his chosen role of RA Glos Area Footpath Secretary, where his record keeping was unparalleled. At the age of 18 he volunteered to join the Royal Air Force. He trained as a radar technician and during this time he was posted to various far flung locations in Britain. He was demobbed in 1946. From then until the 1970's he worked at Drakes - as 'Mr Antony'. At some time, Tony took up Morris Dancing, which he often reminded us was for tough men doing strenuous warlike dancing, and in due course became Bag Man (the secretary). He played the accordian. Like many others, he took walking holidays with Cooperative Holiday Association and Holiday Fellowship in England, and with Ramblers Holidays in Europe. Travel then was always something of an adventure. Tony is first recorded as Footpath Secretary in 1951, at the age of 28. He held that role until his retirement in 2008, and even after that he continued as Area Footpath Consultant, finally retiring in December 2011 when he also gave up the post of Area President, which he had held since 2009. Though working in the family business, his real interest was the countryside and walking. He was inspired by the passing of the National Parks and Access to the Countryside Act 1949 and the subsequent Acts which opened up opportunities for walkers and the creation of the Definitive Map. Tony and his teams of Ramblers volunteers were very heavily involved in survey work, and in recording the newly defined rights of way. The creation of the Definitive Map really caught his imagination and he seems to have worked tirelessly on this - in the early days to the detriment of his business. He obtained copies of the 1:10,000 OS maps and organised teams of volunteers to mark up, in colour, the rights of way onto hundreds of maps - and he ensured that they were constantly kept up to date as new footpaths were registered. His maps, and his files, one for each of the over 200 parishes in Gloucestershire were transferred to Gloucestershire County Council Archives, according to his wishes, just one week before he died. Tony inherited the business from his father in the early 1970s. He had long been more interested in the countryside than the business, although he continued running the family business for a few years. But times were changing and old established family firms were losing ground, to newer ways of retailing, so Tony did some calculations, then took the bold decision to sell up, to invest the proceeds and to live off his income - and to devote his time to the real love of his life - the Ramblers Association. Tony was a major contributor to the creation of The Cotswold Way - the 100 mile walk, which he visualised as a cliff top walk along the Cotswold edge, with occasional descents down the escarpment, and back up again, in order to take in the beauties of the lovely villages along the Way. Tony, with characteristic thoroughness, created a series of Cotswold Way maps, based on out of copyright OS maps, marking the route with stick-on dots, (using Lettraset), to create masters which he subsequently had printed and which sold in their thousands, as did copies of his other creation, the Cotswold Way Handbook and Accommodation Guide. In May 2007, the Cotswold Way was officially inaugurated as a National Trail with Tony and his fellow creator, Cyril Trenfield of Avon Area, as guests of honour at the Stanway House celebratory event. Tony was not only a walker, he was also a keen mountaineer who climbed extensively in the Alps. More easily accessible though, were the Welsh mountains, a not too distant drive from Gloucestershire. In 1955 Tony became a founder member of the Gloucestershire Mountaineering Club. He played a major part in the club's acquisition and conversion of a terraced house in Deiniolen, in Snowdonia, for use as a 'Club Hut', a base for mountaineering activities in that area. He became Hut Manager for several years and later became Club President. 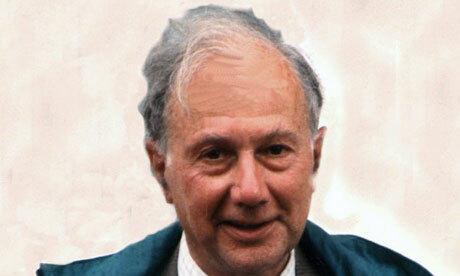 During this period, the 1970s, he was accompanied by club members on many of the surveys from which he developed his proposals for the Cambrian Way. He was a very active member of the Youth Hostel Association in Wales and when he disappeared from Gloucestershire at the weekends he could often be found with a paint brush or tools in his hand, hard at work enhancing the limited resources of the most rural hostels tucked away in mid Wales. He always had a preference for the simple hostels, where he could hark back to his Scouting days. Perhaps his greatest creation was the Cambrian Way, a hugely imaginative and demanding project for mountain connoisseurs, a challenging 270 mile walk with an ascent of 61,540 feet, which goes over every bit of high ground between Cardiff and Conwy. Again, Tony created a guide book, with hand drawn maps and a detailed route description, a list of B&B accommodation and prefaced by a history of its creation. At his instigation, there is now a website for the Cambrian Way. He took particular interest in the YHA hostels along the Way and he regularly updated the framed maps in those hostels. For fun, he asked those who completed the Way to send him a post card of Conwy Castle. He was delighted to receive several each year. He was ambivalent about the Cambrian Way as a national trail, but he was mindful of the need for action to ensure its long term future and he has made some provision for this. Of lasting national importance was Tony's 'White Roads Campaign' These were the class 4, 5 and 6 roads, shown white on the OS maps as minor roads and which were often unmetalled, and hence vulnerable, at a time when government grants were being given for hedgerow removal in order to accommodate agricultural machinery of ever increasing size. It is largely thanks to Tony's dogged determination and persistence these ORPAs (other routes for public access) are now marked on OS maps, as green dots. He served on the Ramblers board of trustees for 20 years and he finally stood down in 2000. At General Council that year, he was made an Honorary Life Member for services to the Association. In 2001 he was awarded an MBE for Services to Public Rights of Way. I sat with him quite a lot during the last couple of weeks of his life. Whilst sitting with him, I reflected on the positive impact of knowing him, and working very closely with him for 15 years, and the consequences that this had had on my life. I felt privileged to have known him and grateful for the opportunities which this had opened up for me, as it had for so many others. Since he died I have thought a great deal about what made him so special. He was a quiet, courteous gentleman. He was at the very heart of Gloucestershire Ramblers with his quiet authority and his encyclopaedic knowledge of the county and its footpaths. He was someone who always seemed to know the answer. He was thorough and patient. He somehow drew the best out of people. He set very high standards and expected them from everyone else and somehow everyone responded by giving their best. We shall miss him enormously, but he trained us well, set us standards and in our hearts we shall feel him with us as we carry on his great work. We shall not see his like again, but we have his work to do and we shall do it - for him.